Today's theme is "Late-Season Tune-Up - Preparing for March Madness!". I'm talking mainly about high school varsity teams here. First, an observation and an opinion... a lot of coaches and players would probably disagree with me here. Over the many years that I have been involved with high school basketball, I have had the fun and opportunity to be involved with excellent coaches and some very good teams. But, to me, it almost seems like the high school season is a little too long (we play 20 regular season games and then the tournament). Almost every season, even with our very best teams, I see kids getting tired toward the end of the season. Practice energy is down. Kids get sick with colds and the flu, they get worn down and tired, nagging injuries occur, and some frankly get sick of basketball. I believe the season could be a little shorter... but that's just me. As I said, many (maybe most) would disagree with me. So what do you do late in the season with your practices and getting your team ready for post-season play? Do you and your coaches beat your heads on the wall trying to get your players to be more intense in practice... most would. But another observation I have made is that each team has it's own "character"... and characters! And of course, the old dictum is still true that "you play like you practice"... well, for the most part anyway. But some high school kids are frankly a little goofy and immature and just can't be 100% intense every practice. You're going to have an occasional practice where energy and attention levels are down and you want to just scream at them, or make them run. At the end of practice, we get a cheer and remind the kids to go home and get plenty of rest and sleep, and not stay up all night playing video games. They need their sleep to maintain health and energy, get over sicknesses, heal injuries, and to be good students. We remind them to eat right, and avoid a lot of junk food. Frequent hand-washing will go a long way in preventing colds and flu. We will also remind them from time-to-time (especially before a weekend) to stay out of trouble and avoid making stupid, bad decisions that might get them benched, or kicked off the team. We play each of our conference opponents twice during the regular season. By the end of the season, every coach in the conference pretty much knows what everyone else is doing on offense and defense. So we will add a few new plays for the post-season tournament. We will purposely "hold back" a couple favorites and put them in just for the tournament. We will usually add a couple new out-of-bounds plays vs man-to-man and zone defenses, and a couple new half-court plays designed to get good shots for our best players, and maybe a new sideline out-of-bounds play. The plays that we select again depend on our personnel. If we have a great outside shooter, we'll put in a play for him. A great post player... we look at something that will help us get the ball to him inside. A great point-guard... we'll try to stretch the defense and let him attack the seams with the dribble. Here it depends on how many practices you have before your next game. If we have three practices, the first will be like any regular season practice. If we only have two practices, the first will be moderately strenuous for about 90 minutes. The second will last usually less than 90 minutes and will be less strenuous, with more focus on the opponent, special plays and situations, etc. We still want to "get up a sweat", but not as much, and do a fair amount of shooting. Anchors Zone Offense... Coach Lance Randall's great concepts for attacking any zone defense. Two new animations, the "Circle Zone Defense" and the "Horns Offense" animation are now available in the Premium Members section and Deluxe CD! Struggling Through a Losing Season... dealing with a tough season. The ball. The original ball was a soccer ball. The official sized ball came in 1894, was an inflated rubber ball, and sometimes was lopsided. So when you hear the game referred to as "roundball", remember that it wasn't always so. The basket. The first baskets were not peach baskets as the story often goes, but were vegetable baskets nailed to the railing of an elevated circular running track, which just happened to be about 9 or 10 feet high. It was a nuisance to get out the stepladder every time someone scored! In 1893, a carpenter designed a wire rim, with a chicken wire net. It didn't exactly SWISH! The term "cagers" relates back to the old chicken wire nets. Backboards were designed so that fans, reaching over the railing, couldn't deflect the shots. Number of players. Originally, 9 players were on each teamâ€¦ then 7, and now 5. 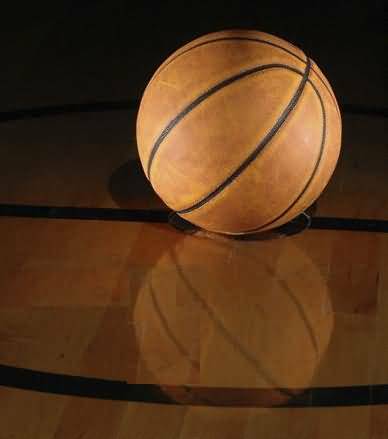 Dr. Naismith once said that there could up to 40 on each team, if the floor was big enough! Fouls. On your second foul, you had to sit down on the bench, with no substitution (sort of like hockey), until the other team scored a goal, and then you could come back in. On a flagrant foul, you were disqualified for the rest of the game, with no substitution... so your team might be playing with only 8 instead of 9 players. If your team committed three consecutive fouls, the other team was awarded a goal. Out-of-bounds. If the ref couldn't tell who hit it out last, the ref would just throw the ball straight out into the court, and whoever got it, got it! The 5-seconds for inbounding rule was original. Fundraising is an essential part of any team's success - and that's why we're proud partners with Fundraising.com. Access simple and effective fundraising solutions for all the things you need to keep on winning, be it uniforms, equipment, tournaments, or items at The Coach's Clipboard store!